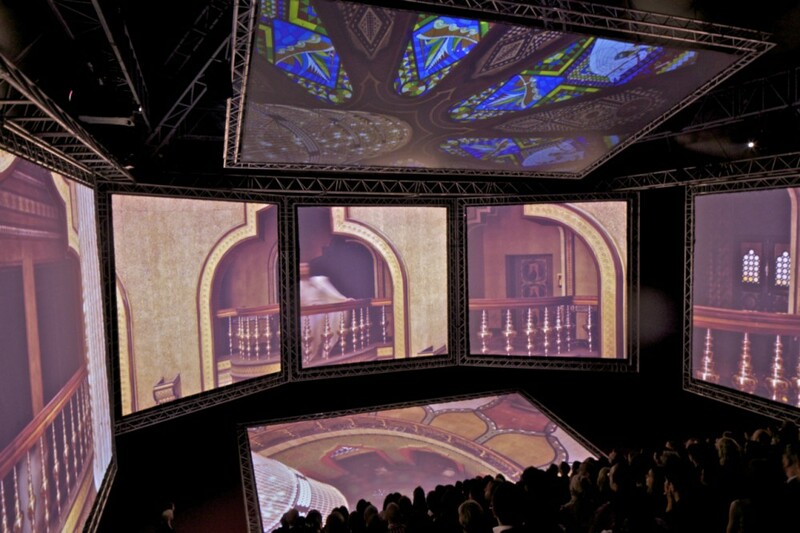 Cruel Summer is a new “7-Screen Experience” short film and art installation by Kanye West which debuted at the Cannes Film Festival earlier this week. 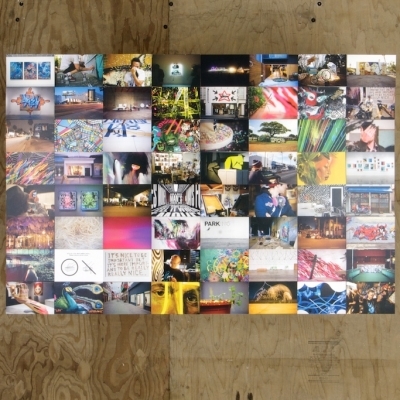 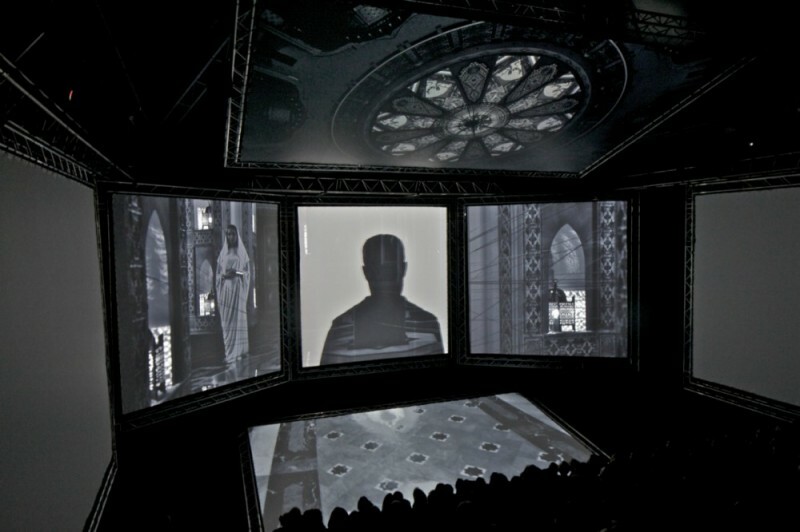 Similar to West’s 2010 short film, Runaway, this installation and film will be used to promote the new album by G.O.O.D. 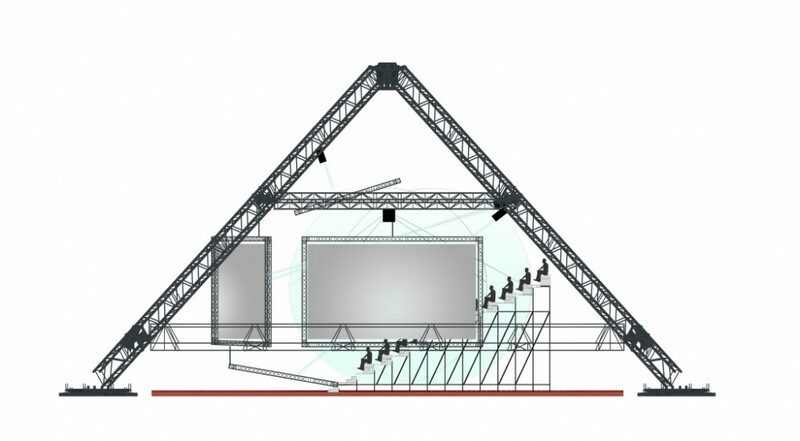 Music, which will also be called Cruel Summer. 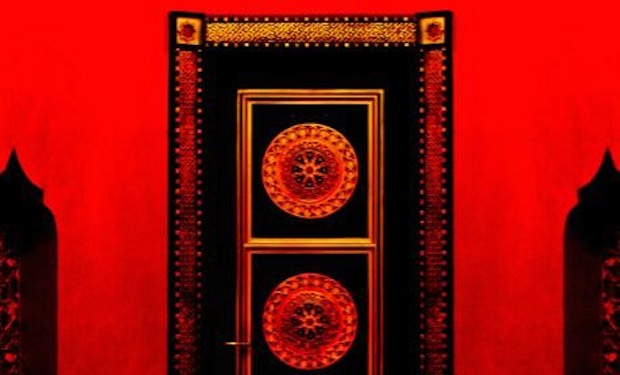 This is the first project by Kanye West’s newly formed creative team, DONDA (named after Kanye West’s deceased mother as a homage); OMA and 2×4.also were also collaborators on this innovative passion project. 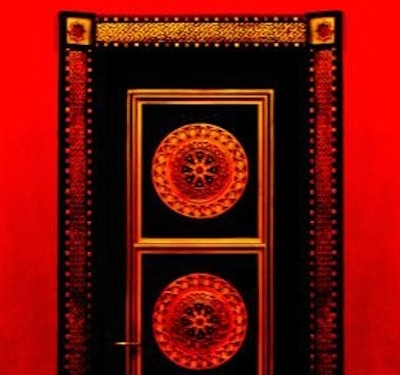 MTV: Kanye’s ‘Cruel Summer’: Cannes Reviews Are In! 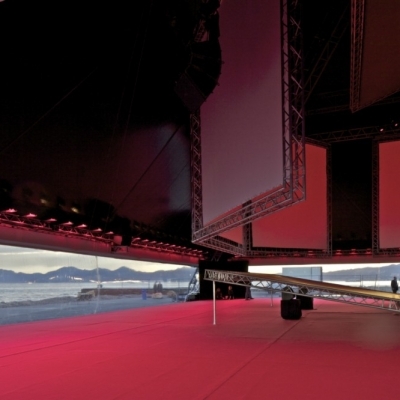 An OMA-designed temporary pavilion at the Cannes Film Festival was inaugurated today with a screening of Kanye West’s debut short film Cruel Summer. 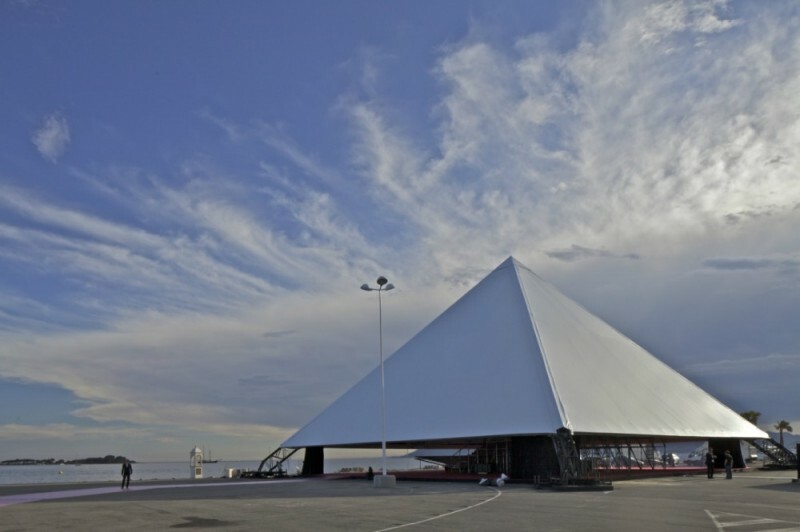 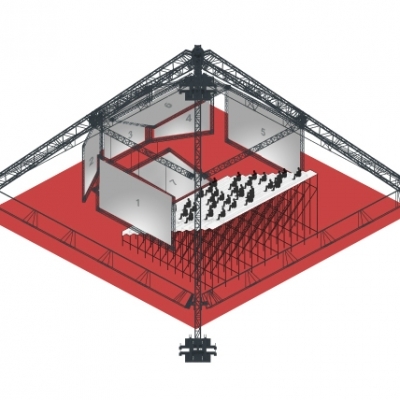 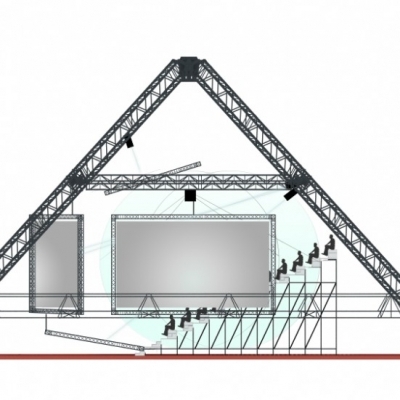 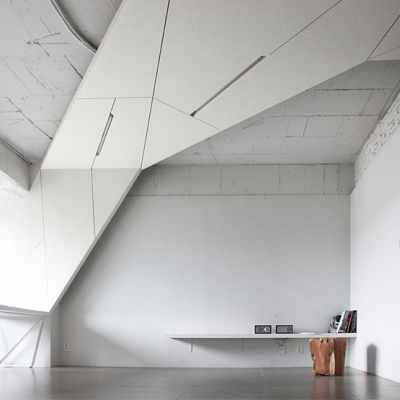 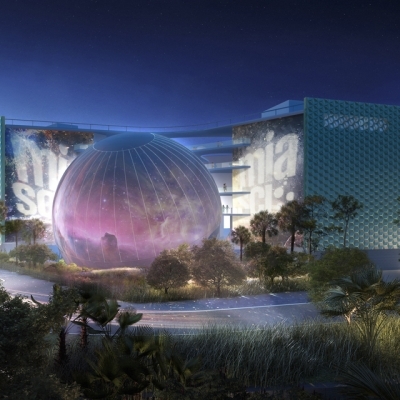 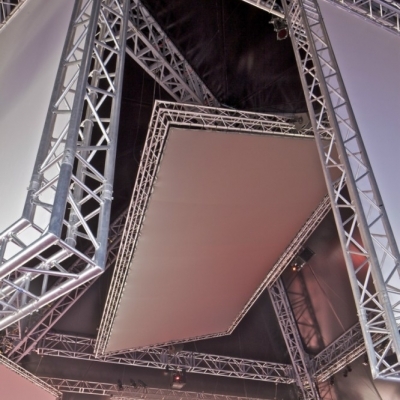 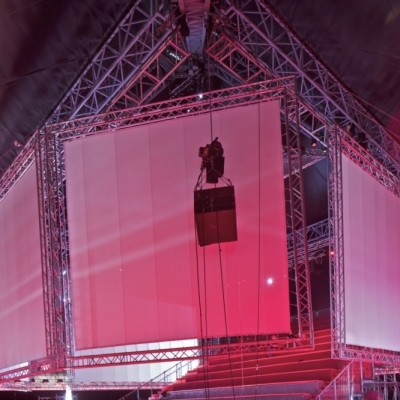 The pavilion, with a design led by Shohei Shigematsu, is a raised pyramid containing a seven-screen cinema invented by West’s creative team, Donda. 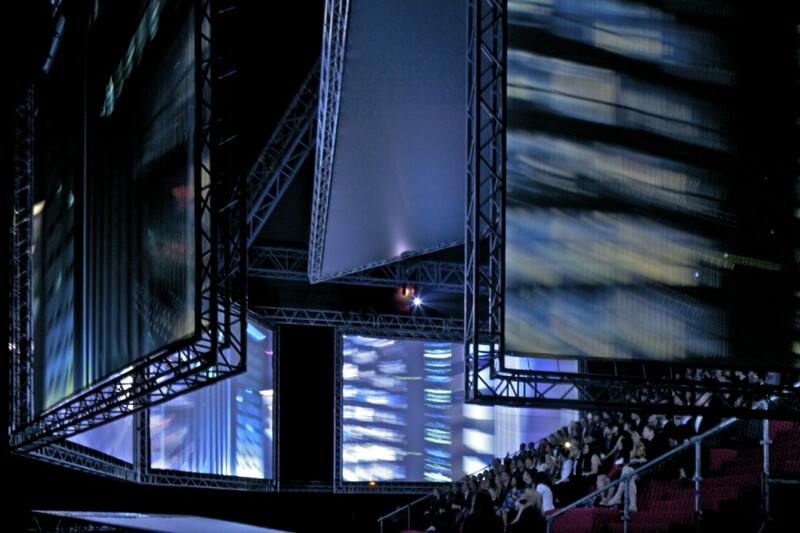 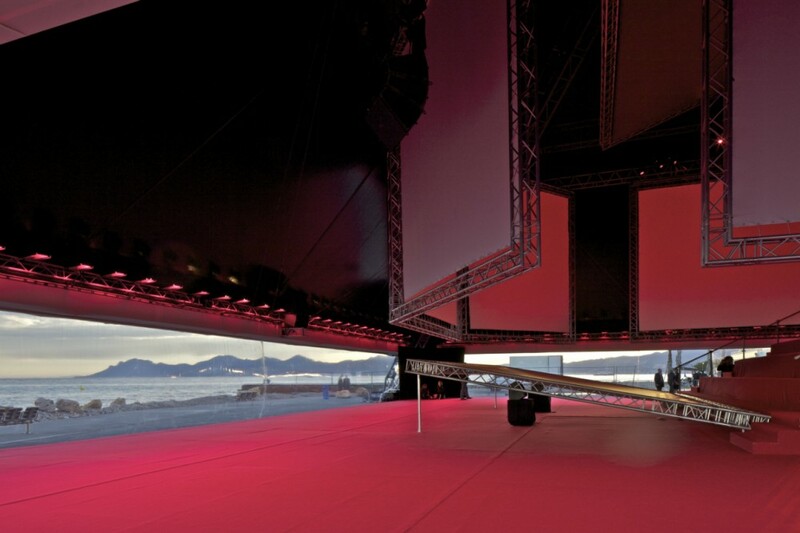 The pavilion is designed to immerse the audience in a space defined by seven screens of cinematic proportions (17′ x 17′, 17’x30”). 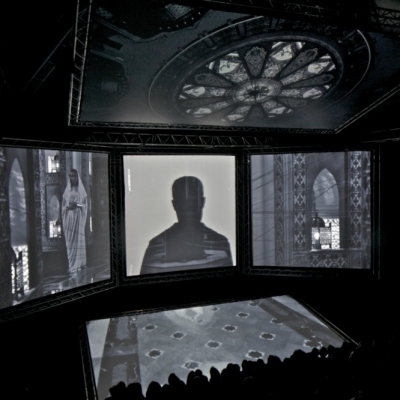 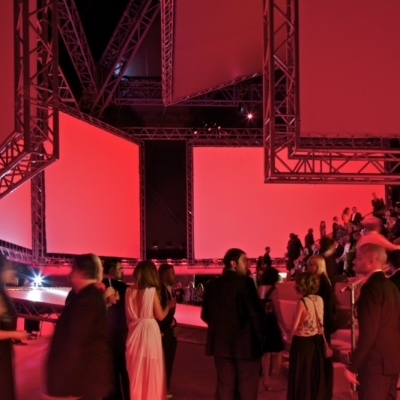 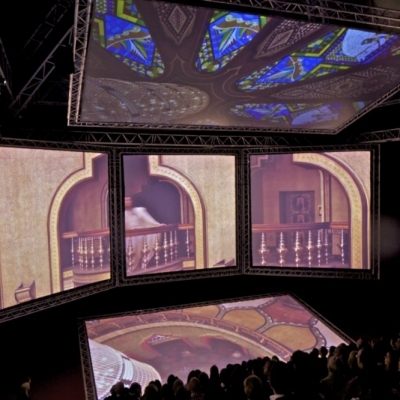 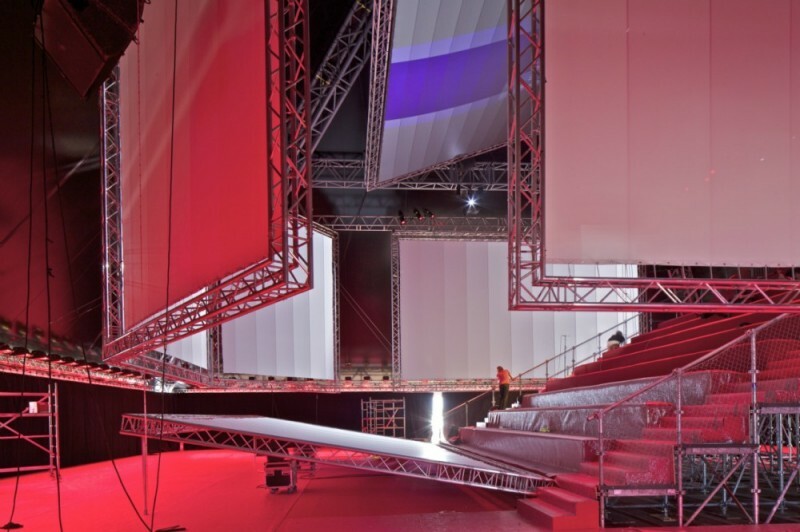 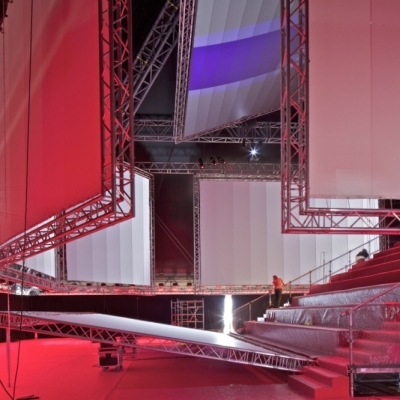 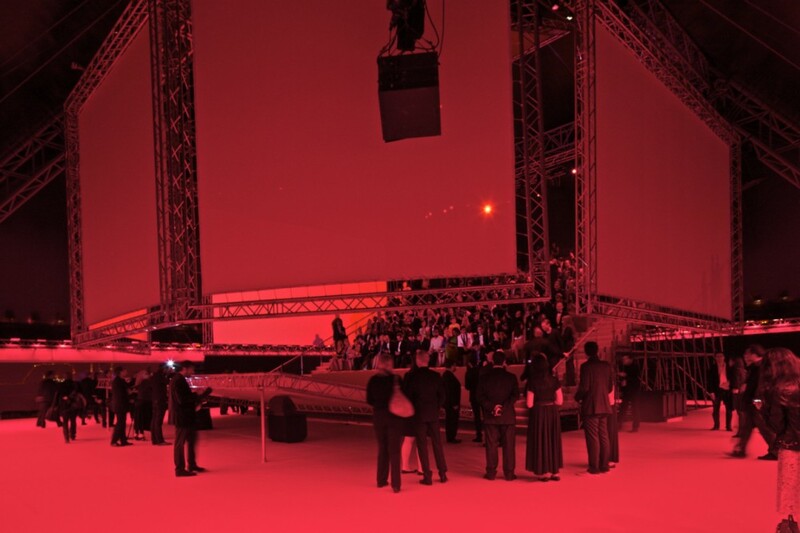 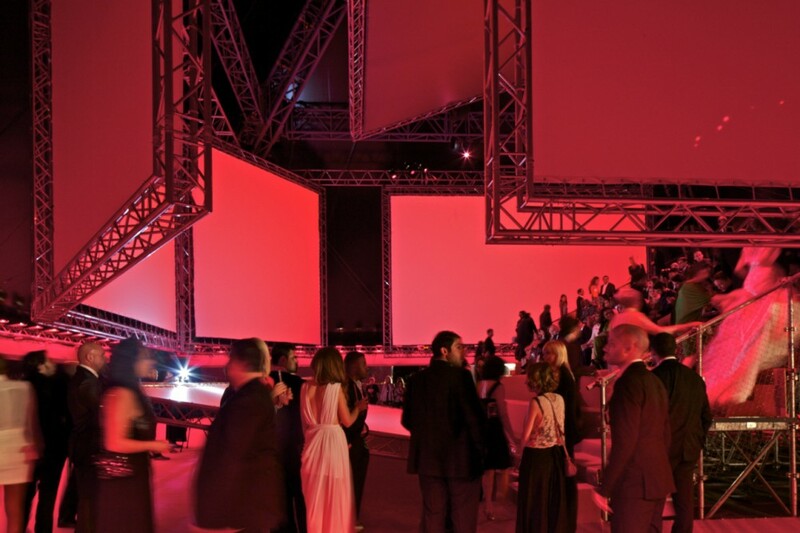 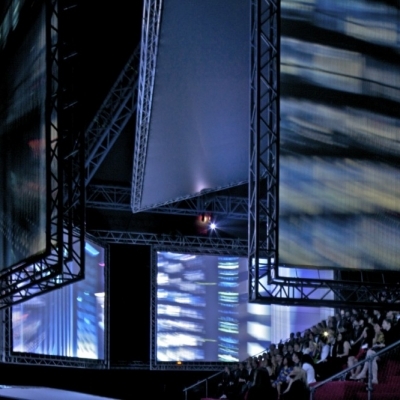 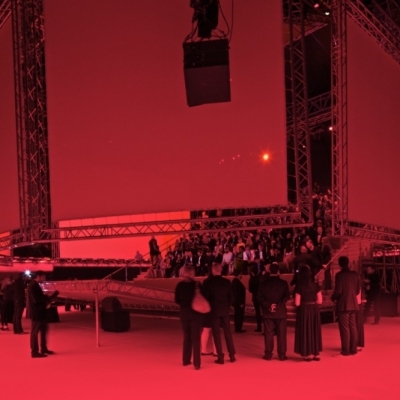 Shot with a custom seven-camera rig in Qatar, Cruel Summer was envisioned for this space as a constellation of projections that wrap around the audience. 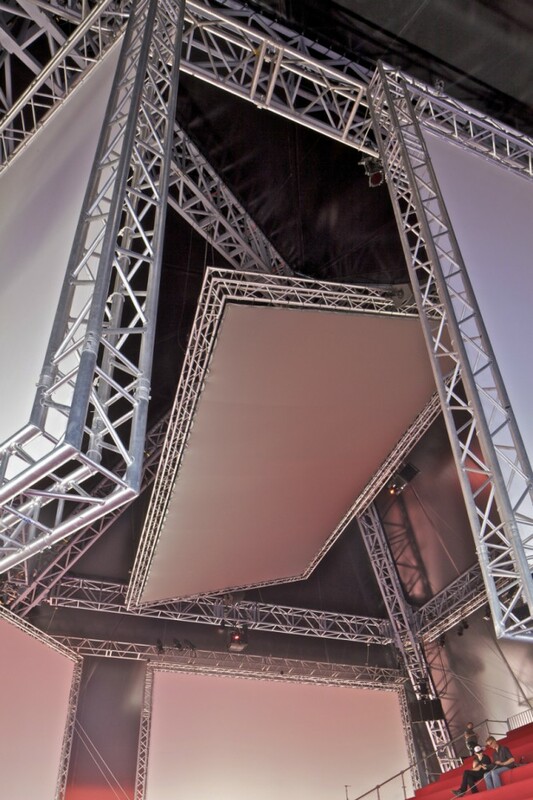 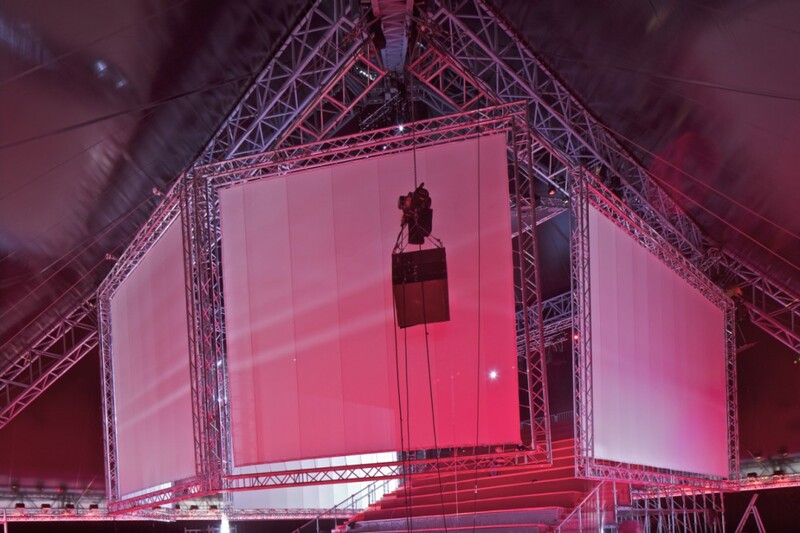 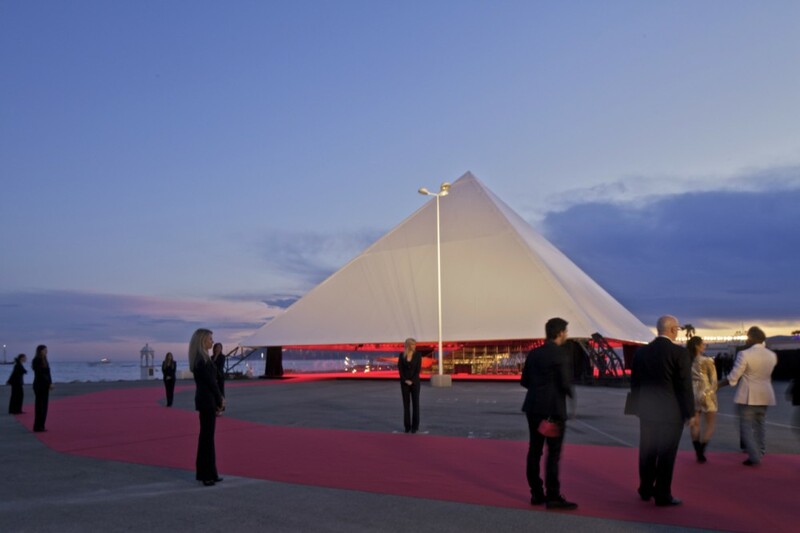 Located along Palm Beach, the pyramid’s canopy is hemmed to open up a panoramic backdrop of Cannes and the Mediterranean while creating an effect of levitation above the red carpet. 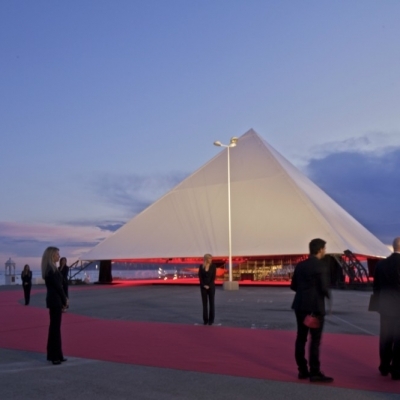 Filmgoers ascend into the pyramid along a continuous red carpet that widens into the 200 seat auditorium. 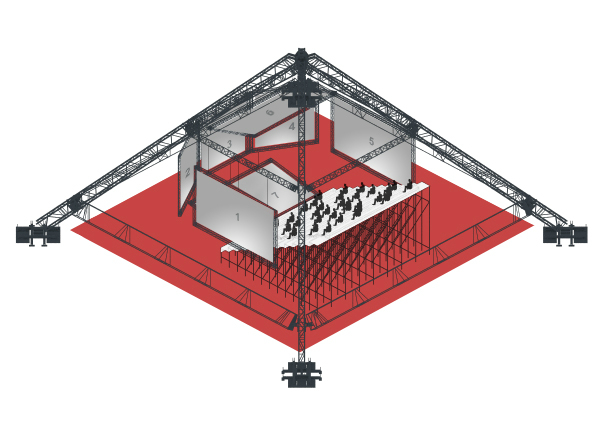 OMA worked with Cannes-based production team Ar’Scene to design an optimized triangular steel frame to accommodate the pavilion’s unique technical requirements. 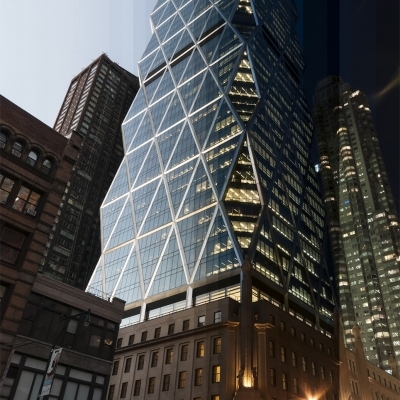 The project was designed out of OMA’s New York office with project architect Oana Stanescu in collaboration with Donda and 2×4, Inc. 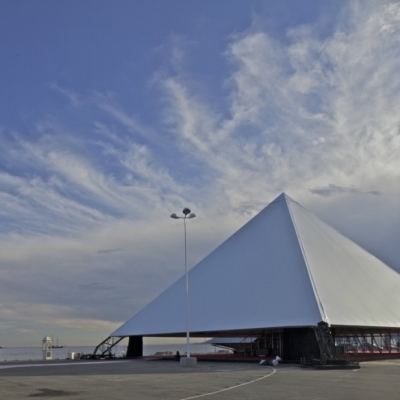 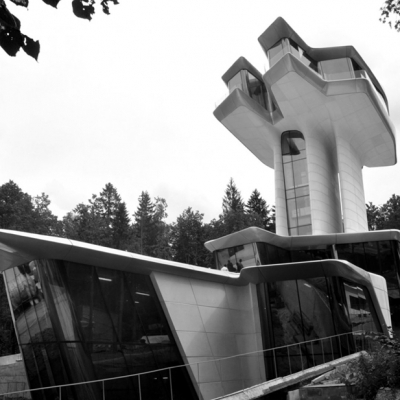 The pavilion will be open for two days of public screenings on May 24 and 25.